Presumed hybrid gull sighting in Florida! Presumed LBBG x HERG chick sighted by Mitchell Harris in Florida (photo by the same). 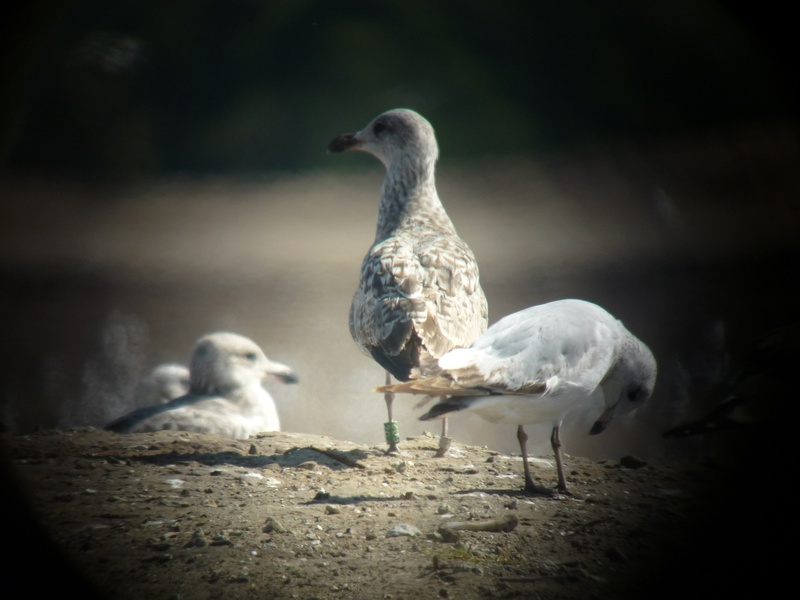 Faithful readers of the SEANET blog will be familiar with the tale of the Lesser Black-Backed Gull observed mated to a Herring Gull on Appledore Island in Maine last summer (see Adventures of a Euro Gull and Update on Julie’s LBBG). The presumed hybrid chicks raised by the pair were banded by Dr. Julie Ellis last summer and nothing had been heard from either one of them…until now. One of the birds, sporting a green band on its left leg reading F02, turned up amidst the droves of other, non-celebrity gulls at a landfill in Volusia County, Florida. While birding at the site, Mitchell Harris surreptitiously snapped a picture of the bird and sent it along to Julie here at SEANET. The diminutive gull is decidedly smaller than the average Herring Gull juvenile, and looks mostly like a Lesser Black-Backed Gull from the field reports, but that tell-tale band points to this bird’s unusual heritage. Dr. Ellis obtained feather samples from the chicks when she banded them last summer, and will soon be submitting them for genetic confirmation of the birds’ hybrid status. For now, we are thrilled that Florida birders have managed to turn up not one, but two needles in the proverbial haystack, finding both the Lesser Black-Backed himself and one of his presumed offspring. Since gulls generally wander for a few years before attaining sexual maturity and heading up to breeding colonies, we have no idea where this young bird may elect to travel next. As Dr. Ellis’ field assistant, Bill Clark, pointed out, it will be interesting to see if this bird summers in Florida, travels up to New England for the warmer months, or does something else entirely. Thanks to all the birders out there keeping their eyes peeled for these banded birds, and especially to Mitchell Harris for this particular report. We will keep everyone posted as we hear further updates on this unusual gull family. Could the perpetrator have been a Peregrine? Well, as Jenette pointed out, this one is both intriguing and grisly. The bird pictured in yesterday’s post is indeed a female Common Goldeneye. Usually our volunteers come across relatively intact carcasses with perhaps a couple of smallish holes due to gull scavenging. Alternatively, of course, many of you find nothing but wings and a well cleaned off keel. This bird seems to be something between those extremes, and the carcass appears quite fresh, as if the perpetrator of this deed had been interrupted mid-meal. 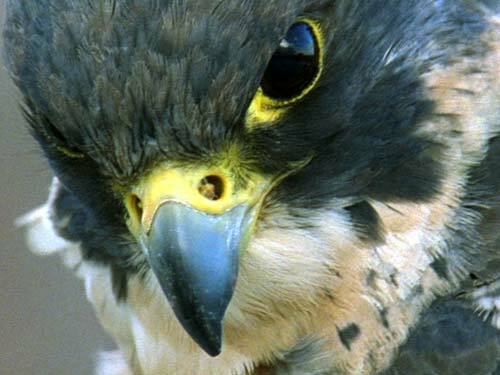 Certainly Peregrine falcons are known to skin their kills and will often even leave the skin over the breast pulled up over the prey’s head. They will then tear the breast muscle away from the sternum as they eat. These bird connoisseurs of the raptor world must remain on our suspect list. 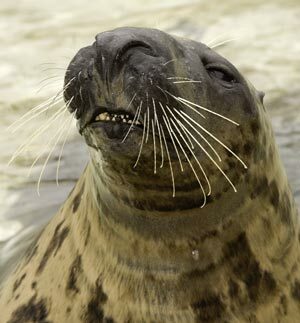 Or perhaps the fierce Gray Seal? 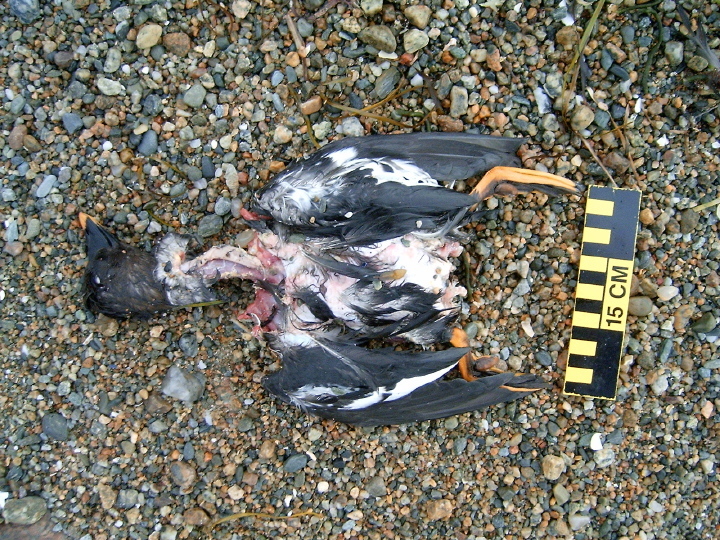 Indeed, we have had volunteers reporting seals occasionally taking eiders and scoters off the surface of the ocean, so our Goldeneye may have fallen victim to just such an event and then washed ashore once the satiated seal abandoned the carcass. Of course, we cannot know for sure, but that is the nature of CSI: SEANET. All of you volunteers keep us on our toes with your finds and observations from the field, so keep them coming! We even welcome your photos of things other than dead birds, remarkably, so don’t be shy. You too could attain worldwide fame by being featured on the SEANET blog. Just when you were probably feeling a bit more confident in your bird i.d. skills, SEANET is throwing a new factor into the mix. Not only do we invite guesses as to species, but in this case, we are also curious about your thoughts on the cause of this bird’s demise. The ventral, or belly side, view of the bird (lower photo) shows that almost all the skin has been removed and much of the muscle over the sternum has been scraped away. Volunteer Ray Bosse, who found the bird, wondered what might have inflicted such damage. We at SEANET have our own musings and speculative commentary to offer, but we are interested in hearing from you. Have you ever seen a similar sight on your beach? Do you have any ideas as to what might have done this sort of damage? Any master naturalists out there with an answer for us? 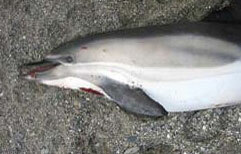 Ventral view of carcass found by Ray Bosse. Tune in tomorrow for the thoughts of amateurs and experts alike! Hammocks Beach State Park: not a bad place for a business meeting. On March 12, SEANET’s Dr. Julie Ellis attended the North Carolina Waterbird Managment Committee Meeting at Hammocks State Park, NC. The program included presentations on topics ranging from shorebirds nesting at the Marine Corps’ Camp Lejeune to the impacts of raccoons in barrier island ecology to genetic diversity research in seabirds. Julie’s presentation on SEANET garnered a great deal of interest, and some leads on potential collaborators in the state. Julie also had the chance to spend some time with Sue Cameron of the North Carolina Wildlife Resources Commission. When Julie wasn’t too busy wolfing down the wild teal served by Sue’s hunter/chef husband, she had some great conversations with Sue who has previously been involved with SEANET’s investigations into Greater Shearwater die-offs up and down the east coast. 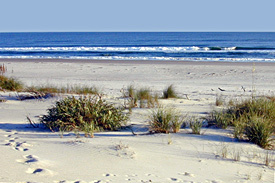 While our potential expansion into the Carolinas has been undertaken cautiously to this point, with a mind toward SEANET’s limited funding and personnel, we recognize that the region is a rich ecosystem critical to many seabird species, and we are encouraged by the interest and enthusiasm for our project among our Carolinian brethren. Thanks to all those who are interested in getting involved, and welcome! Our sister program, COASST, is working on a field guide to stranded marine mammals and sea turtles. 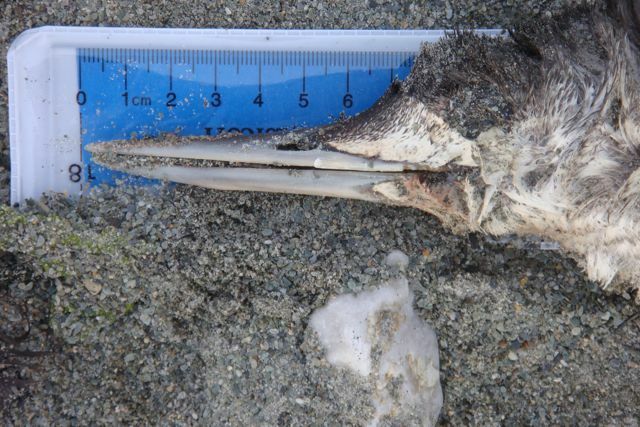 While COASST is focused on the Pacific Northwest and Alaska, many of the species they see out there also turn up on our eastern beaches. Since many of you Seanetters also moonlight with marine mammal and sea turtle stranding programs, we thought you all might be able to contribute photos to this worthy effort. The list provided below includes the bicoastal species you may encounter out there. Our friends at COASST will accept hard copies of photos, or digital photos, of course. Feel free to send photos you may already have, and keep the project in mind should you come across any of these unfortunate animals in the future. You can send the photos to us here at SEANET and we will serve as a liaison to COASST for you. 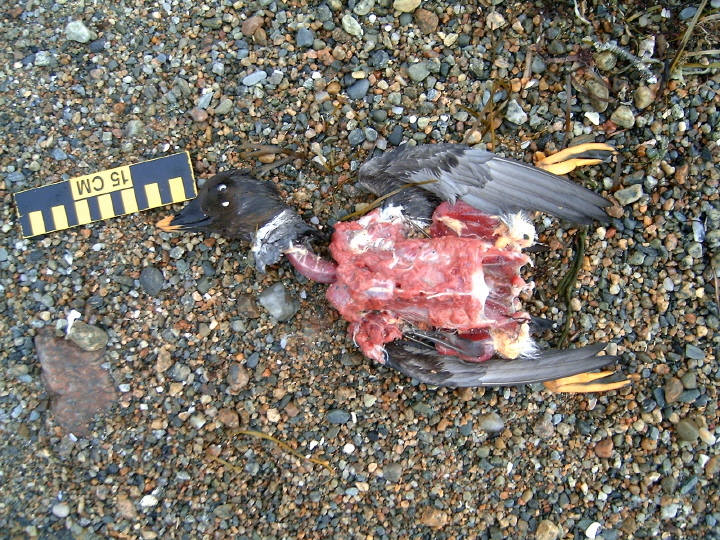 Keep in mind the same guidelines for getting high quality photos you use for dead seabirds; shoot from directly above the carcass and include the whole body in the shot. As always, keep safety in mind, and do not approach an animal if it is still alive, as stranded animals may feel vulnerable and could therefore become dangerous. SEANET received word this week of a number of “large birds” found dead on a beach in Norfolk, Virginia. 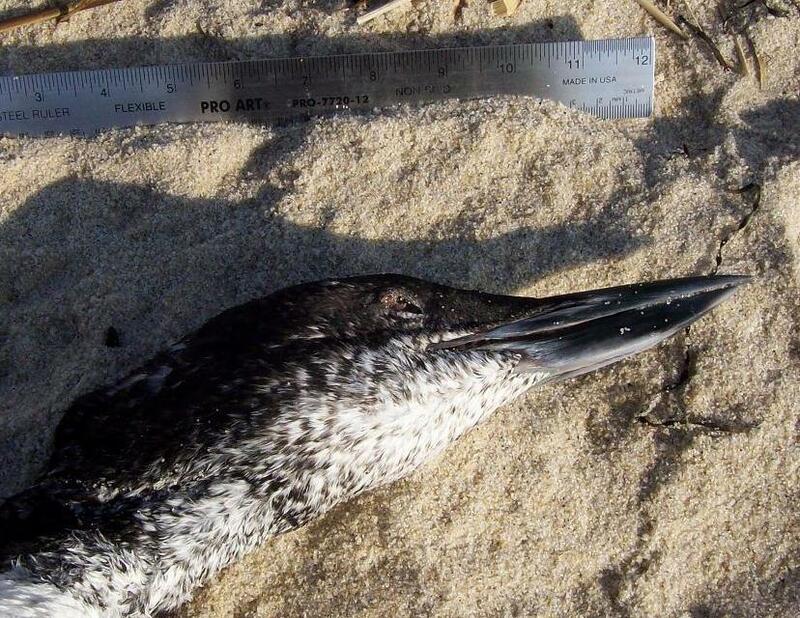 A concerned resident contacted the USDA who headed out to the beach and found five Northern Gannet carcasses. The finding has generated a flurry of emails between seabird experts up and down the east coast. The USDA took their standard samples and reported that the birds appeared to have been in the water for some time. As with any die-off event, regardless of scale, all possibilities must be considered until more information is available. Trauma, disease, toxin, and entanglement in fishing gear are just some of the potential causes of such die-offs. Additionally, Doug Forsell, Migratory Bird Biologist with the U.S. Fish and Wildlife Service, tells us “This is a regular occurrence in southern Virginia at this time of year as large numbers of gannets, common and red-throated loons, and red-breasted mergansers are drowned in gillnets as they move up the coast.” Doug also points out that these birds are usually otherwise healthy, and not emaciated, though they may show signs of trauma from the entanglement. This points out the importance of a full investigation into die-offs, since without a thorough examination of the affected birds, it is impossible to determine a cause of death, or even to rule out any of the potential causes. Ideally, the birds would be submitted for postmortem examinations and testing. 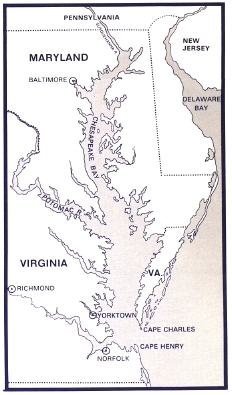 The mid-Atlantic is, at this point, outside of SEANET’s reach, and we currently have no volunteer presence there. We appreciate the information from all the parties who have been involved in discussions of this die-off, and it underscores the need for continued communication. SEANET also sees the mid-Atlantic as its major priority for future expansion, once our southeast and NewEngland programs are stable and fully sustainable. We will keep you informed of any further developments on this story, so stay tuned to the blog. Brian offered the correct answers to yesterday’s Dead Bird Quiz; indeed, Bird A is a Red-throated Loon, and Bird B a Common Loon. The two species turn up relatively frequently on SEANET beaches during the winter months before heading inland to breed, be it to lakes and large ponds in Canada and the northern U.S. for the Common Loon, or to ponds of the northern coastal tundra for the Red-throated. When placed side by side, a significant size difference would be immediately evident between the two species; the Red-throated is the smallest member of the loon family, averaging around 3lbs, while the Common Loon typically weighs in around 9lbs. Rare is the instance, however, when a Seanetter is presented with a specimen of each species lying side by side. Common Loon found by Jenette Kerr of Cape Cod. Note the heavy, thick bill. Of course, the well-equipped Seanetter is much like a Boy Scout, and is always prepared with calipers to measure such things as tarsus and culmen length, which will readily distinguish between the species. But let us inhabit, for a moment, the hypothetical land where our intrepid Seanetter has forgotten her calipers and ruler at home. What other cues might she use in determining the i.d. of a loon-looking bird? The two photos in this post illustrate one of the most striking differences. The bill of the Common Loon is heavy, thick and straight. The bill of the Red-throated loon is thinner and upturned, conveying something of a sneer, at least to this blogger’s mind. You may, of course, judge for yourself when next you encounter one of these birds on your beach. Red-throated Loon found by Marcie Lindsay of Rhode Island. Note the thin, upturned bill in comparison with that of the Common Loon above.